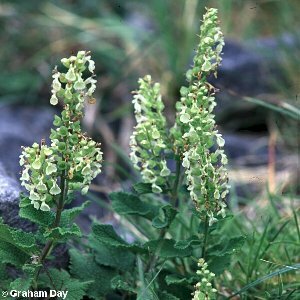 A common native herbaceous perennial plant of acid heaths and woodland, with sage-like leaves (but lacking any scent) and one-sided spikes of small pale greenish-white flowers. 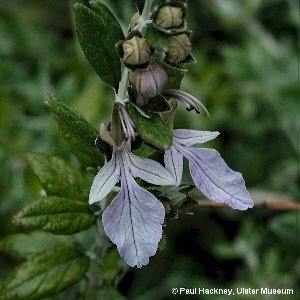 Teucrium species all lack an upper lip to the flower, which otherwise has a structure typical of the family Labiatae (Lamiaceae). 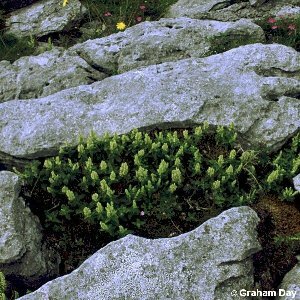 All names: Teucrium scorodonia L.